You have a couple bucks in your pocket and you're hungry. Where can you go to get the most for your money? Well, McDonald's menu no longer offers the best fast food deals. You'll have to go where burgers are square. McDonald's has always been the captain of the ship when it comes to the fast food industry. Everyone else seems to react to what McDonald's does. McDonald's also seems to have a much larger and better funded research department that produces more variety on their menu than their competitors. However, if you are looking for the best fast food deals, I suggest Wendy's. Wendy's has maintained a value menu where all of the items are still only 99¢. McDonald's and Burger King have been pushing prices up on their value menus and you'll see several items above the $1.00 threshold. What also makes Wendy's value menu as my choice for best fast food deals is the range of selection on the 99¢ menu. You have a Double Stack hamburger, a Jr. Cheeseburger, a Crispy Chicken Sandwich, a Sour Cream and Chive Baked Potato, their new Natural Cut Fries with Sea Salt, Spicy Chicken Nuggets (5-piece), a value drink and a small Frosty. With the exception of a fish offering, you have a decent variety of options to choose from on the Wendy's Value Menu. One oddity on the Wendy's menu is the Crispy Chicken Nuggets. They sell for $1.39. If you get Spicy Chicken Nuggets, they're 99¢. A 10-piece order of the Crispy Chicken Nuggets is around $2.70. You're better off getting two orders of the Spicy Chicken Nuggets from the value menu, it will cost you $1.98. Fast food should be a small part of our weekly or monthly consumption of food. No matter what the chains try to sell us on, there really are no healthy fast foods that are high in nutrition and low in calories. McDonald's is selling oatmeal for breakfast. That sounds good. But if you add all of the toppings offered, you can push that cup of oatmeal up to around 400 calories. 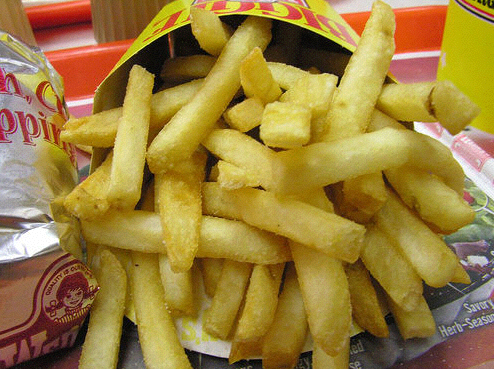 Your best bet is to keep fast food to a minimum in your diet. But if you only have a couple bucks, McDonald's menu no longer offers the best fast food deals. Go where the burgers are square and the prices are fair - Wendy's.